Where: Symbiosis Institute of Computer Studies and Research, Atur Centre, Model Colony. Map. Prantik Mazumdar, Consultant and Country Manager for StrategiCom, has kindly agreed to take a branding session. StrategiCom mainly deals for brand evaluation and positioning for SME’s around the globe. They say “Necessity is the mother of all inventions” and it is some of these inventions that empower and transform our world. Some of the grandest inventions that have had a significant impact on our lives today include the wheel, electricity, the light bulb, the automobile, telephones, mobile phones, the internet, etc. But was just inventing these ideas, concepts and processes enough for them to succeed and transform our world? Just google “why startups fail” and there would be a host of sites proclaiming that about 9 out of 10 startups fail within the first two to three years of business! Is there something that can help increase and insure your chances of success? Something that can ensure and protect your growth? – The answer lies in commercializing, protecting and most importantly branding your intellectual property right from day one! Abhijit Athavale shall be talking on identity, positioning, sementation and market analysis, value proposition, messaging, campaigning and measurement. See the PuneTech calendar for information about other tech events happening in this weekend. What: A day long seminar on issues in internet as a communications medium, with Kiruba Shankar, Atul Chitnis, Rajesh Lalwani etc. The Symbiosis Institute of Media & Communication (SIMC) is organising National Cyber Media Conclave ’09, a media seminar on the 28th of March, in its campus at Lavale. The event will explore various aspects of the cyber medium and its vast potential. A first of its kind initiative by any educational institution, NCMC aims to bring together stalwarts from the cyber world on a common platform where they can address enthusiastic young minds interested in cyber media. The National Cyber Media Conclave will host two panels of speakers on the potency of cyber media for knowledge sharing, social change and networking; and the emergence of the web as a medium for branding and marketing. This would be followed by a workshop conducted by Mr. Rajesh Lalwani (Founder and CEO, Blogworks.com), and ‘Web Wunderkind’, a contest on the presentation of a business plan for the cyber medium. The winners of the contest would get cash prizes worth Rs. 15,000/-. Also, remember that there are 6 tech events competing for your attention this weekend, including Dhananjay Nene‘s talk on strengths and weaknesses of programming languages, and Atul Chitnis on How the world is changing, and what startups should do about it. For details see the PuneTech calendar. Registration and Fees: Rs. 50 for students Rs.300 for others. No registration reequired. Panel Discussion on “Entrepreneurship and innovation are two sides of the same coin”. Mr. Vishnu Swaminathan, Cheif Innovation Officer Nationa Innovation foundation. Mr. Monish Shah, Founder and CEO, Indra Networks. BYST is keen on working with young people in the age group of 18 to 35, who are either unemployed or underemployed. We invite individuals with sound imaginative business ideas, along with the will and determination to succeed. As a part of their course, students of courses like MCA and MSc CA are required to do a 6-month internship in the industry. Normally, students are expected to find the internships on their own, as a result of which, smaller companies and startups without much visibility lose out on this stream of students. To fix this we are arranging a “speed-date” for companies to quickly give a very short pitch (3 minutes) about themselves and then meet many students in a short time so that in a single meeting companies can quickly shortlist probable candidates, and conversely candidates can quickly shortlist probable companies for further interviews. This will happen on January 22, 4:30pm at SICSR. If you are interested, send me a mail (navin@punetech.com). Hurry, offer valid until stocks last. The students can start working for you immediately, and will work for 5 to 6 months – i.e. until mid-June. This is supposed to be a full-time job for the students during this period. In one of the previous POCC meetings, I heard someone say that they had a good experience with SICSR student interns. If you or someone else has experience with SICSR interns, please share it here for the benefit of the community. Please share negative experiences also, if you’ve had any. Send me (navin@punetech.com) a requirement profile describing the kind of project/work you are willing to offer by Thursday, 15th January. This will be cirtulated amongst the students. Describe your company, and the project/role. Please also indicate whether you are willing to receive some resumes of interested students beforehand. On Thursday, 22nd Jan, 4:30pm to 7:30pm, there will be a “speed date” kind of an event, where each one of you will get 3 minutes to pitch your company and/or projects. At the end, you get a table where interested students come and talk to you for a maximum of 5 minutes. In this time, you should get a quick judgement of whether you want call this student for a further interview. The expectation is that at the end of the day, you have a short list of students that you are interested in interviewing, and who are interested in working for you. Due to time constraints, the number of slots is limited. So, in case we receive more entries than we can accomodate, we’ll choosed on a first-come-first-served basis. We are trying to include other colleges with similar programs. I’ll send out updates as more info becomes available. 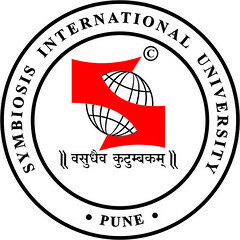 Symbiosis Institute of Business Management (SIBM), Pune, is running Endeavor 2008, a business plan competition (open only to students). So if you are a student with an interesting idea looking to get visibility, guidance, and possibly lots of money, hurry, because the last date to submit entries is 24th August. Experiences Recruiting Venture Capital – Part 2.